We have winners…and a surprise box giveaway! Good morning! We're so happy you're here and so happy it's Friday too! We thought we would start today's post by sharing a picture we shared on Instagram last night. Who wouldn't feel inspired to create in that room full of colour? Thank you @justaddsunshineinc for letting us all dream a little! Friends we are always looking to see where our readers create so feel free to send us images of your space. Send them to ideas@scrapbookandcards.com and we'll be sure to share some from time to time! Seasons Giving Blog Hop – subscription and winter issue for a friend! As we've been busy catching up from CHA and getting ready for all our upcoming spring events we've been cleaning the office a bit. And by clean, we have really cleaned! I've spent some time putting a box together of some of my favourite things we've seen and have used over the past year to create this fun box of goodies! Would you like it? If you would like an opportunity to hold this box (which will be more like a pizza box!) in your hands and squeal a little when you open it, just leave a comment below by next Thursday, January 28th! Good luck! Hope you have a lovely and creative weekend planned! For our readers on the east coast, we hope you stay safe and warm. Thinking of you! I love surprises, boxes of goodies, and papercrafting supplies!!!! Thanks so much for sharing this giveaway!!! I have been following you at CHA I can dream to go there on day. Would absolutely love to win that box…. congrats to all of the happy winners! what fun it would be to receive a box filled with goodies! would love the chance to win! I love surprises, especially the scrapbook kinds. Congrats to the winners!!! Got to say, I’m a little jelly, lol! Would LOVE to win a surprise box full of new stuff…those are so fun! Thank you for the chance to win! I”ve always loved surprise boxes or bags! thanks for the chance to win. I am squealing at the thought of winning this box of mystery goodness! Would love to see what some of your favorites are and get to play with them myself!!! Thanks for the chance to!!! Congratulations to the lucky winners!! Enjoy your prizes!! Hope everyone has a great weekend! Opening a new box of scrapping supplies is a great experience. Thanks for cleaning out! Congratulations to the winners! Thanks for the chance to win a mystery box! I’ve been seeing all the fun produces from CHA. So exciting. Thanks for the chance at such a great prize. What a lovely gesture. Thanks so much for giving us this opportunity. I love surprise gift boxes! Congratulations to the winner. I love mysteries and I LOVE to squeal, OOh and Ahh over new things. Your the best for cleaning up and sharing with us! Happy Weekend. I love surprises and opening a box full of scrapbooking & cardmaking supplies would be amazing!! Thanks for the chance. Thank you for the opportunity! Surprises are such fun! I love surprises so I would love to win this box…and I’m sure that I would squeal a little when I opened it 🙂 Thanks for the chance. What a fun party display. Thanks for sharing with us! Congratulations to winners! And YES I’d love to hold this mistery box 🙂 Thank You for another giving away! Surprises are the BEST!!! Thanks for the opportunity to win…keep doing what y’all do…I’m always inspired! Who wouldn’t love a ‘pizza box’ of crafting goodies?!?!? I would gladly receive a surprise gift…and I would most definitely squeal with delight. I’ll be busy all day Saturday crafting with my girlfriends…never enough of those days. Have a great weekend and keep the inspirations coming. that fun box my way! ooohhh I love surprises.. what fun. something new to create with. Love it. I would be glad to take this box out of your office. See the space it will save. Thanks for the fun. A box of treasures from SCT would be delightful. A good reason to spend time crafting! Congrats ladies!! I would love to win a surprise box of goodies!! Love a good surprise. I think the winner should have to show us what they received. Not only would I squeal, I would jump up and down. I don’t like pizza, but sure do love the goodies that come in this pizza box. Everyone loves a surprise. Oh my gosh I love, love surprise boxes!!! 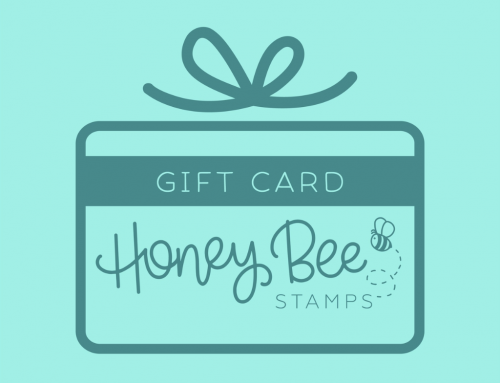 I would love to win a surprise box of crafting goodies! Thanks! Yes I would love to hold that box 🙂 Pizza that doesn’t have calories 🙂 Sweet! I would love this mystery box to have and to hold! Now I want some real pizza! Thanks for the chance to win. oh yes please! you can never have too many crafting goodies! Congrats to the lucky winnners! Would love to receive a mystery box full of crafty goodies. By the time it reaches Greece (if I should be the lucky winner) I will hopefully have a little more time to create now that my husband has finished his chemotherapy and will have his temporary stoma removed in two weeks’ time. Surprises are so much fun!! What a nice surprise……another chance to win something. I would love to win a mystery box….so exciting! Thanks for all the inspiration. Oh please. I could totally use a ray of sunshine from CHA! Ooh mystery box! thanks for the chance! January has been a very long and sad month for us….I would love to squeal with happiness at a surprise box. Congrats to the winners. COngratulations to all of the winners! Hope you enjoy your prizes. Speaking of which, would love to win this mystery box…how fun and how generous! Who doesn’t want to win a box full of surprises?! Thank you for a chance to make it mine. Who wouldn’t want a surprise pizza box full of scrappiness ?? Thanks for your generosity ? I love a mystery and surprises! What fun it would be to get my hands on some new goodies instead of just drooling on my keyboard at the photos I am seeing! Thank you for the chance!! It was fun to see all the new products revealed at CHA show. Absolutely would love to give your surprise prize box a new home! Thanks! Oooh surprise box of craft goodies?!? Amazing! Me me me me me! Yes, please 🙂 Then I can mess with my husband and tell him I ordered pizza (which I never do so he would be just as excited). I would love the chance to squeal with delight when I see what great surprises are in the mystery box. Thanks for the chance to win! Who doesn’t love happy mail??! Thanks for the chance to win!! A pizza box full of new scrappy loot?! Sign me up! 😉 Thanks for the chance to win! Not only would you hear me squeal but also the ladies in my senior center card class when they open the mystery box! I love a surprise and a box of goodies would be wonderful. Thanks for a chance to win. I love surprises and how nice would that be to start the new year with a present! Thanks for the chance to win. I hope everyone has a crafty 2016. Oh, just look at that yummy craft space!! I’m speechless and wish my room could look half as enticing!! Congrats to all the winners. Crossing my fingers that I might be one too someday!! Sounds exciting. Interesting pizza size box. Would love to see what’s inside. What a great craft space and congrats to all of the winners! Would love to win a mystery box myself, so I have my fingers crossed! How fun! I’d love to take that box off your hands. I would love to get a surprise goodie box. It just makes me so happy, despite the long, cold winter. Surprise boxes full of mystery. What fun. Who doesn’t love a surprise, especially a crafty surprise? I would absolutely squeal with joy if you picked me to receive a “pizza box” full of surprises! What would help beat these winter blues better than a box full of surprises from scrapbook and Cards Today!!! I can’t imagine the fun it would be to “clean” your office and see all the amazing things that gather there. So I’ll offer to come and help you anytime! Thanks for another great giveaway! Congrats to the lucky ladies who won. The mystery box sounds like fun – thanks for the chance. I would love a good squeal! Thanks for the chance to win! Congradulations to the winners! Winning a mystery box sure would be delighful.I know I would squeal alot. Thank you for the chance to win. And, SCT, thanks for being as awesome as always! Even if it’s an actual pizza, I would still squeal!!!! Thanks for the opportunity!!! eeekkkk!!!! THis would be amazing! Thanks for the chance!!!! What could be more fun than a surprise goodie box! I don’t care what shape the box it; I would love to hold it in my hands! thanks so much for a chance to win a surprise box! I love surprises!! I’d be happy to receive a surprise “pizza box” with scrapbook clear-out items from SCT’s favourite things. Thanks SCT for the chance. Oh yes please. I am ready to squeal. Thank you for your generosity. A goodie box full of inspiration would come in handy about now. Thank you for your generousity. I love happy surprises & have loved seeing all the new product from CHA. Thanks for the chance. Wow! ANOTHER prize being offered? What is more fun than a surprise box of crafty goodness?!? Congrats to the winners listed above! Wow…a pizza box full of goodies craft,that would be wonderful,exciting,marvelous! Thanks for such nice giveaway! Congratulations winners! Yes, please I would love to win the surprise box…I love surprises!! Thanks bunches for the chance to win all the goodies in the box! How fun, a surprise box of goodies! Would love to win a surprise box of goodies! Thanks for a chance to win.. Thanks for your leadership and love of the industry with all of us. I would definitely squeal a little bit if this box made it into my hands! Thanks for the giveaway. I would love to have that box. I don’t have enough bandwidth to watch all of the videos from CHA so maybe I can use the contents to use my imagination and just dream of CHA. OH SQUEEEEEEAAAALLLLL!!! Can’t get enough of you giveaways. Anytime you want to clean up and get rid of stuff…. just let me know…. Thanks for the chance to win this box of surprise goodies – I know I’d enjoy adding it to my craft space! (And I have to comment: wow! What an amazing craft space pictured here – so pretty! That craft room is adorable! I wish I could keep my craft space that neat and tidy. Ohhh I would love to win the mystery box of course I will squeal and jump when the box arrive at my door. So now I’m going to cross my fingers lol. Thanks for the chance. Scrapbooking surprises are the best! Thanks for the chance to win!! What a great surprise it would be to get this wonderful box in the mail!!! I would love to see a box of goodies in my mailbox. Thanks for the chance to win! It would be a delish treat to create with even a smidgen of the 2015 products that I’ve seen.There are so many creative people in this industry and I’m lucky to learn so much from this site.Thank you for a chance and BLESSED Day. Congrats to the previous winners and keeping my fingers crossed for the surprise box of goodies for me. Surprises with yummy scrappy goodies are always a good thing!!!!! Thanks for thinking of us and putting stuff aside for a giveaway!!!! I’d love to win the mystery box! And I’d give you a big hug at C&C Abbotsford! (Well, I’ll give you the hug anyways.) Thanks for the chance to win! I’d love to receive your surprise box! Thanks for the chance! I always love a mystery!! Would love a chance at that mystery box!! Thanks. What a fun giveaway! Thanks for the opportunity to win! I love a good mystery! The guessing has begun…thanks SCT! Thanks for the daily inspiration and the opportunity to win some great prizes every week! I would love to squeal! A pizza box full of scrappy surprises would be lovely. Thank you for the opportunity. Getting a surprise box full of crafty wonderfulness would make me a very happy girl! Thank you for the chance to win! How exciting! Would love to win a box of goodies. I’d love to spend a weekend creating with new goodies. Congratulations to all the winners. Winning a box full of goodies is always fun, but I don’t think my mailman could handle my squealing when the package arrives. He already thinks I stalk him…………..hahahaha! What a gorgeous craft room. Such a fun and happy place to create! Surprises are the best!.Thanks for the giveaway!. Hey Catherine! It sure looked like you guys had a great time at CHA!!! Who wouldn’t love a mystery box??? Congrats to the winners!! Another chance and a surprise!!!! I love surprises!! Congrats to the winners! Who wouldn’t love a surprise mystery box!! Thanks for a great giveaway. Would love to win a surprise box! Thanks for the opportunity. Ooh, OOh, OOH! *jumping and raising hand wildly* please choose me! Congrats to the winners and who wouldn’t love to hold that box. A CHA mystery box?!? EEEEKKK!!!! How fun!!! Wow! It would be so awesome to be one of the winners!! Thanks for the chance! I love surprises! What could be better than crafting supplies!!! Thanks for the opportunity to win. Oh my, how awesome is this!!! I watched so many videos on CHA and wished so bad that I’d been able to attend even though I’m completely on the opposite side on the East Coast!! I love your magazine and the projects and products you share are the best!! Thank you for the chance!! Someone is going to be a very lucky person? Thanks for the chance to win such a fun surprise box. ?? Thanks for the chance to win a box of goodies! ooh, what a good reason to squeal! I’d love to see what has inspired you in the past year! Fingers crossed!! Would love to win a surprise! Oooo…Mystery Box! Super fun! Thanks for the chance to win! Ooh a boxful of creative goodies, enough to make any paper crafter squeal with delight. I love mystery boxes!!!! Please, please Pick me!!!! ?? ??? Oh the surprise box sounds so fun and exciting. I love surprises. Perhaps it would help keep me busy with these cold days of winter! I can’t imagine who would love to open the box more, if me or my little prince who loves to help me with the mail. Thank you for sharing this opportunity. Congrats to the winners and thanks for another chance to win! Mystery boxes area my favorite, especially full of crafty scrap supplies! I need a good squeal! What fun! Would love to win a mystery box. Thanks for the chance to win!! I would love to win a surprise box!! Nothing beats opening up a surprise and digging through the goodies! I’m planning to make some favors for a class I’m teaching this weekend…yay! You are so generous with giveaways! Love this blog!! Wow….a chance to win goodies! I would love it! I would love to win the goodie box. My love & I have started memory keeping together so it would make a nice celebration for our first yr together. Please please pick me 😀 , thanks for your amazing giveaway. Thank you for the chance to win. It would be fun to win a surprise package! ? Would love a good surprise! I’m a newbie! I was warned that scrapbooking was a dying hobby but I found your website which is vibrant and inspirational. Thank you! A mystery box can surely give one the thrills. I would surely love to win. A mystery box sounds like fun! It’s like Christmas all over again. Pizza boxes are my favourite! When they come with pizza they’re pretty good, but when they come with crafty goodies they are awesome!! Thanks for the chance to win. A surprise is always great to receive, especially if it inspires to craft and create. Thanks for the chance to win this mystery box. Good luck to all of us ! Oh my gosh, this would be so fun to win! I love surprises in the mail! Oh. Great opp. Thank you. There’s no crafter who wouldn’t love a surprise box. There’s so much emotion on getting tools, materials and goodies. Thanks so much. I do have plans to craft today. I really need it after a long week at work. Great weekend to everybody! Wow! What a cure for the winter blues. Thanks for the chance. ???? Oohhh would love to win thanks! I would love to win this! Thank you for the chance, and congrats to the lucky, lucky gals! A surprise box would be so exciting. A pizza box dripping with goodness… I will take a pad of paper over pepperoni any day! Better on the hips! Hee hee…. Good luck everyone. I would love a mystery box! Thanks for the chance to win. Would love to get a happy mystery box in the mail! Thanks for the chance to win! I love surprises and I love to squeal too!!! Thanks for a chance! That would be the best happy mail!! Finally have my mojo back so winning these goodies would keep that going for sure! Wow! I would love to win! Sct you rock!! Thanks for the chance to win!! I have a crop coming so this would be perfect!! I’m cleaning out too! Would love to win a surprise box to fill in those empty spaces in my craft room. Who doesn’t love a wonderful surprise?!? Thanks so much for the chance to win. And thank you for all the inspiration you provide. Yes, I would love a box of crafty goodness. I’ve been put on a budget. (Painful) That room is beautiful. I love the color and not sure why, but my eyes immediately went to the colored metal baskets. Such a fun and quirky addition to a craft room. Surprises are always nice! Especially one from you! Nothing is more fun than a surprise! who wouldn’t love anything that comes in a pizza box!!! And a nice little mystery to top it off!!!! Thanks for a chance to win. I would love to receive a pizza box full of goodies from SCT. Thanks for sharing the joy! Such a great giveaway! My OLW this year is “clean” so I fully support any type of cleaning up and it would be a bonus to win the surprise box! I’d love to open a fun box o’ crafty surprises!! You guys rock! Oh My Gosh!!! Another giveaway….you guys are super generous and of course, we all love you for it. lol. I would love to get my hands on a box of your favorite things. It is always nice to see and share what someone else loves. This would sure brighten a cold winter day. Thank you so much for this chance to win your favorite things. This is awesome!!! Creative weekend at the mansion coming up with the scrapbook girls and we love surprises!!! We would definitely squeal for you! Would love to win a box of goodies! Surprises are always fun! Great craft room – love the colors. It’d be awesome to win this box! Thank you so much SCT for this wonderful opportunity! This is so amazing! If I win this surpise box i know the world will hear me squill 🙂 Thanks for all Scrapbook and Cards does to keep us insipired. Love it! I love surprises and would love to win a surprise. Would make my day much better and brighter. congrats to the winners…you lucky ducks!! I would love love to win the surprise mystery box! It would totally brighten the dark days of the Yukon…Thanks for the chance to win!! I would love a mystery box! Thank you! Love surprises, especially any surprise that is scrapbook related. Thank you so much for the opportunity! Love your magazine and really love surprises! Thanks for the chance to win. A pizza box of your favorite things would surely become my favorite things, too! Thanks for the chance to win, and for your wonderful magazine, too – I just reread the winter issue for abut the tenth time! congrats to the winners. enjoy your goodies. Would love to find a surprise box on my doorstep when I get home from work. How fun it would be to open everything and drool. Would love to open a box full of surprises! Oh my….I am sure this box is full of lots of yummy surprises. I would love to win it. Thanks for the chance!! Mystery boxes are so fun! thanks for the chance! A surprise box would be so much fun!! I would love to get a surprise gift in the mail. Thanks for the chance to win. I love mystery brown packages! Thanks for the chance to win! Looking forward to new ideas and inspiration throughout 2016. Would happily welcome a mystery box from SCT. Another mystery box…there is no end to the generosity of SCT! A huge CONGRATS to all the winners! SCT is always so generous in its giveaways. What a highlight it would be to win the exciting mystery box you’ve put together! I love the bright and cheery crafting room picture. I’m sure creativity flows freely in there! Yay! Another awesome giveaway! :) Thanks SCT! SCT you rock! :)) Thank you so much! Such fun to receive a mystery box! I’d be thrilled to win this!!! I would be over the moon if I open my mailbox to find this!!! I love surprises! Especially surprise happy mail like this. Yay! Thank you so much SCT! It’d be awesome to win this. I’m sure I’ll be squealing a whole lot if I were to win this! Yay! Enjoy your crafty goodies, winners! I’m super excited for this. Thanks for your generosity! Thank you for cleaning your office and gifting this box to one happy scrappy girl!! Love a good parcel surprise. It would be interesting to see what products were special in the past year. Fingers crossed. Would love to win the box full of mystery goodies! Thanks for the chance to win. I like pizza boxes! Lol Thanks for the opportunity to win! Surprise boxes of crafty things are the best kind of boxes! Would love this! I love surprises!! Thanks for the chance to win!! Thank you. I love surprises! Surprises are so much fun,and even better when they are craft supplies! Thanks for sharing! Congrats to the winners! I’d love to be next! Congrats to the winners, and thank you for another chance to win! I love surprises! I would love a surprise box of happy mail goodies!!!! I would love to have a surprise package in my hands. Thank you. If I won, I would open it together with my daughter and we could both squeal. Nothing beats a surprise pizza box of goodies!!! 🙂 I would squeal quite a lot!!!!! Thanks for the chance to win this mystery box! I want to win!! !I love suprises. Ohhh! Nothing like a good Mystery. ..box! I need some Mystery Box love right now! Thank you for the chance to win! Would love to open a surprise box! I promise I’d squeal a little!!! Congrats to the lucky winners here, have fun ladies, and sure who wouldn´t just love to get such a mystery box? I sure do without doubt at all. Congratulations to all the lucky winners!! Thanks for the chance to win another awesome prize…you ROCK! Who wouldn’t love some new goodies to play with? I know I would. I love surprises. I think that box would fit into my hands just perfectly. I squealed just thinking about it. I have some crops coming up that I just know those supplies would be used at. Surprises are the BEST.I’m sure I will squeal a lot if I win.My voice is loud so you might hear me from all the ways from Nova Scotia lol. Thanks you for the opportunity to win this awsome mystery box. The fun box of goodies sounds fantastic! I promise to squeal from the rooftop if I am lucky enough to win! Thank you for all of the prizes you make available, it makes every day so exciting. I would love to win a pizza box full of hand picked goodies from Catherine!! Thank you!!! Mystery boxes are the best. I can only imagine how fantastic your’s are. Thank you so very much for a chance to find out. Your spring cleaning would definitely be my treasure! Thanks for cleaning early! Congratulations to all the lucky winners!!! I would love the have a mystery box to bring a little sunshine to my day! Thank you for a chance to win! I can imagine this box of goodies will keep me busy throughout this new year! A surprise box would be fantastic! You never can have too much. This sounds like a great prize pack. Congrats to the winners! How FUN to get scrappy goodies in the mail! Getting a surprise mystery box would be even more FUN! Thanks for the chance to win. Woo hoo! I survive our cold winters by staying in and scrapbooking. I just finished two small albums. It would be so exciting to win a surprise box of new goodies to play with. Mystery boxes are so much fun and more fun to win! Thanks for the chance to win . I can’t think of anything better than to get a box full of scrapbook surprises! Would be such a wonderful day!! I love happy surprises! And Scrappy Surprises are the best! Oh!!! I love surprises!!! Thank you so much for offering us this opportunity to win. I love all the info and products that you make available to us. mystery boxes are always fun! thanks for the opportunity. Congratulations to the winners!!! I would definitely squeal if I were lucky enough to win this box. Such excitement … the surprise of a gift, put together by people who love what I love … and not by my husband who loves me but doesn’t understand our need for paper! Thanks for the chance to win! Fun, fun!!! Love surprises…..thanks for another opportunity to win one of your great give-aways! Looking forward to another year of SCT fun! Wow, I LOVE surprises … and how cool to receive this gift! 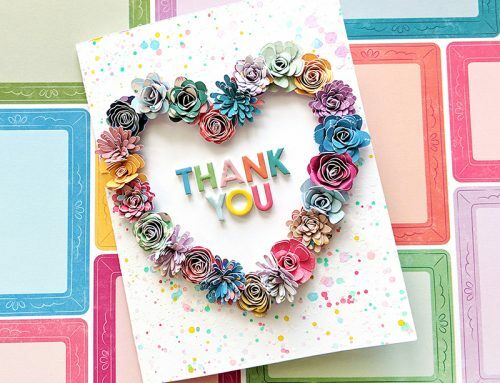 Thanks for another wonderful opportunity to win some fab craft supplies! Oh yes please! I love the inspirations the magazine offers and I often drool at the advertising pages! The best part is that it is Canadian! Yeaaah! I love surprise crafty goodness.. thanks for the chance to win! I would love a box of crafting goodies! Wonderful happy mail! I would be squealing so loudly if I won!! Thanks for the opportunity to win this mystery box and thank you Catherine for always thinking of us! I can’t imagine a better surprise! Thanks for the chance to be a lucky duck! I’d love to receive a pizza box of goodies from SCT! I’d be thrilled to win this giveaway! Surprises are awesome! It would be great to be able to share this surprise with the ladies coming to our Crop to raise money to send our youth to bible camp! I LOVE Surprises!! And Surprises that involve crafting are even better! I love receiving my Scrapbook & Cards kits 4 times a year. A surprise box of goodies would be awesome. It would be so exciting to win this mystery box. Thanks so much for a chance and good luck to everyone. This would be so much fun to win! Thanks for the chance! I’m about to have a BIG BD & getting the mystery box will cap it off perfectly! Thanks for the chance! Just got back from vacation. Ready to get back to my crafting. This gift box would help get me started. You make crafting hearts so happy! Thanks for this chance to win a surprise box! How exciting…I love surprises…especially a box full of paper crafting supplies! Thanks for the chance to win! Congrats winners! I love mystery boxes and happy mail! This would be a win-win for me! So excited! Who doesn’t love surprises? Especially scrappy ones! Thanks for the chance to win. Congrats to the winners! Awesome mystery box!! Thanks! Congrats to the winners! And thanks SCT for the opportunity to win! This is the good kind of surprise. Thanks for the chance. Hello, a mystery box would give me some much needed diversion right now! I love mysteries! Thanks for this chance for some one to win this! Yahoo! Surprises! There’s nothing better! I craft with my kids and we are all eagerly crossing our fingers! Love you guys! After the week of snow and ice we have had in East Tennessee, it would REALLY make me squeal with delight to have that cute box in my hands!! I am a 911 Dispatcher and it has been a week to go down in the books!!! Surprises are such fun and what better than craft supplies. Do we ever have enough supplies? Please pick me. On my own for a whole week, so of course there will be lots of crafting going on. Good bye dish washing. That is a lovely room. Thank you for sharing that and also for the generous giveaway. OH HAPPY DAY!!! Is exactly what I would be singing if I won a mystery box or a 1 year subscription – what an awesome treasure! Thanks so much for the opportunity to enter! Ohhhh, a surprise box of goodies, that would be so great! Thanks for the giveaway! I would scream like a girl! What a fun box this would be to open. Heck I would even offer to help clean the office if I could keep some of the open packages. And I’m not a fan of cleaning! LOVE your magazine! Love surprise gifts and getting packages in the mail. I shared my last surprise package with a college friend I reconnected with after 40 years!! We discovered that we both LOVE crafting and card-making. We have been sharing our favorite sites ever since! I would love to share this with her! I would love to receive a surprise box, and would love to see my name listed under “Winners”. Thanks for your generosity and your inspiration!!! Yeah, different goodies all in one box!!! A mystery box is the perfect giveaway. Just thinking about the possibilities you can have. January has been cold. -30 so been pulling out Scrapbook and Cards a Today mags ans scrap pin’ up a storm. Would love a mystery box. So limited in getting supplies here in SW Manitoba Canada!! OH goodness!!! I would love a mystery box!!! Thanks so much for the chance to win some goodies! Yes please, I would love a surprise box of goodies! Congratulations to the winners! How fun! I would love to to receive a mystery box. Thanks for the inspiration! love your magazine!would love to win! I love surprizes! I know whatever you put in the box it will be awesome! congrats to the winners and thanks for giving us a chance to squeal with crafty happiness again! Winning this box would make it feel like Christmas is January! You guys are awesome! I would love to receive a surprise box! Especially filled with crafty stuff. AND my birthday is coming very soon so it’ll be a great birthday gift 🙂 Thanks for the chance! What a fun and mysterious giveaway!! I love a surprise! Especially a scrapbook surprise filled with another scrapbookers favorite things! I can’t wait to see what is in the box. Here is hoping that you post a picture of the contents with the winners name so we can see what is inside! Thanks for the chance to win an amazing surprise prize! Would love love love to win this great prize. Yeah! Surprises are my favourite thing!!! Especially scrapbooking ones! Thanks for the excitement!! Sounds like great fun, a mystery box full of goodies! Congrats to the winners! I would love to win thanks so much for the chance! I love “discovering” forgotten goodies in my craft room and using them in a different way. I would be so excited to receive the mystery box! Congrats to the winners! I would love a surprise box! My birthday is soon, so a box full of goodies would be the “icing” on the cake! I would love love love to win a mystery box! I just know its full of a hot mess of loveliness!!! And Happy Mail is the best!!! Thanks for the chance! A box of scrapbooking supplies would be a wonderful early birthday gift. I would absolutely love to win some crafting goodies! I would love to win a surprise box of goodies!! I love opening surprise boxes! My husband laughs at me every time I come home from the scrapbook store because I am squealing with delight at my new stash items! Love the chance to win this box of goodies!! What a great winter pick-me-up it would be to win a surprise box of goodies from SCT !!! Here’s hoping !! Thanks for the chance to win ! Nothing is better than a great surprise! Thanks so much for giving out great surprises!! I would love a box of surprise goodies! Yay, Mystery Boxes, aka Happy, Happy Mail! Squealing would definitely be in order!! 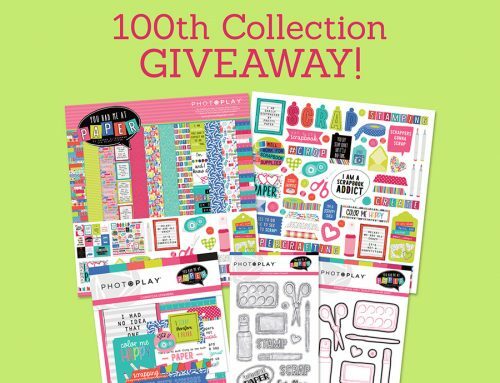 Thank you for the chance to win crafty goodness! Can always use that kind of surprise – especially in winter months! I’m new to your site and have enjoyed exploring your blog. Free gifts are lovely to hold in your hand. Hope everyone is having a very craft week. Nothing would brighten a gloomy winter day more than a box of fresh scrappy supplies from my favourite magazine team. Fingers crossed! I love boxes filled with surprise goodies! Thanks so much for sharing with us. I would love a surprise !! Thanks so much!! Oh, THAT would make an awesome birthday present!!! Thanks so much for the opportunity to win ? Oh yes I would love to win a Mystery box of goodies! What a great way to challenge my artistic side!Keep the mystery coming. I’ll bet a mystery box from your desk is MUCH more fun than one from my desk (it’d include envelopes, invoices, and bank statements — yawn!). What a fabulous surprise this would be!!! Love surprises Does a pizza come with it (haha)? I would love to win this fun box! Thanks, Catherine! CHA looked like an amazing event this year. All of the great new releases. I wish I would have been able to attend. Thank you for the opportunity. I love surprises!! Especially crafting ones! What a sweet surprise this would be! I wonder what is in the box???? Awesome everything! Wouldn’t this be fun to have! Thank you for the chance to win. I would love to win this mystery box!!!! I love surprises! Thanks for cleaning up your office so that one of your readers will get the surprise. I’ve always enjoyed surprises – and I imagine a box of mystery items from Scrapbook & Cards Today would be full of exciting and very useful surprises, indeed! This would be a wonderful surprise in the mail! I would love to receive your mystery box! Thanks so much for giving us this opportunity to win this surprise gift box! And congratulations to the winners of the last giveaway. Cleaning the office … good idea! can’t wait to see what you found! Hope to enjoy the fruit of your hardwork. Thank you so much for your give aways, ideas and inspiration you instill in me! Love the magazine. Love goodie boxes. Thanks for the chance to win! Oh, a mystery box! Love mysteries and surprises! I think I already left a comment here. But doing this one for the subscription giveaway. Happy mail is always welcome at my address? Thank you for sharing and caring to please someone! I could really use a pick me up, and what would be better than a box of crafting goodies! 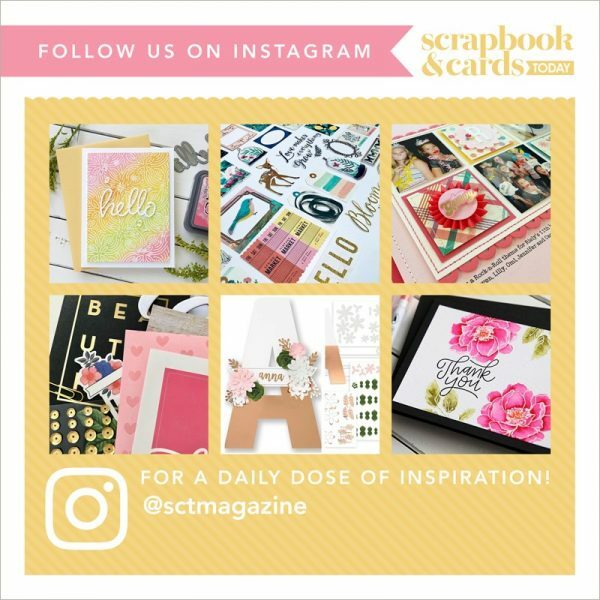 Scrapbook & Cards Today is my absolute favorite craft magazine, craft blog, creativity inspiration and craft information on new products. Your staff does an amazing job covering all aspects of my crafty world that I just can’t do without you!! Good luck to everyone on winning the mystery box. Squealing with delight in Florida!!! There’s just something about a surprise! I love them! Thanks for the chance to win! This would be awesome to win! Very exciting! Thanks for the opportunity to win! New creative treasures in a surprise box. Well that just gets me going!! Thank you for all the inspiration on your site. wowsa! i would love to win and i would be happy to pay for shipping and handling to my home! love all that you do SC&T!! What? Who doesn’t love a mystery box? Just like those surprise packages you used to get when you were a kid…only better!!! Thanks for sharing! I love all the comments! So funny. SCT has the best fans. Lupus stops me from jumping up and down doing my happy dance, but inside I’d be a dancing fool if I were to win. Thanks for chance to win a box of goodies. Love surprises….a mystery box sounds like fun!!! I love surprises! Thanks for the chance to win! Ohh, Goodies, for free, and I am sure everything will stir my creative juices to make some fantastic items. Hope it’s me! I love surprises! Crafting surprises are the best kind though!!!! I’ve been kinda down lately, a big surprise box would make me feel great! Is there anything better than a surprise box of creative goodies?!! Would love to get this wonderful box!! Thank you for the chance! I’d love to win some surprises! Of the good kind, that is!! “No, no, no, I don’t want to receive a surprise box of goodies in the mail” said no-one ever!!!! Absolutely YES I would squeal if I had a box such as this arrive on my doorstep!! Thanks for that slim but possible chance!! This would be so exciting to win a box of goodies good enough to squeal about! Pizza box size sounds great for a loud squeal from me. Thank you for the opportunity to win a mystery box of squealable goodies. What a fun surprise! A wonderful way to warm up a cold ,snowy winter day. This would be a lovely surprise!!!!!! I so love surprises.. I won a mystery box in October but never received it.. I guess that’s the mystery.. very disappointed.. Maybe things will go better this time?? I love surprises and could really use a pick-me-up right now. Thanks for the chance to win. love everything about you guys! thanks so much for the opportunity to win! fingers, toes and eyes crossed I win! I love pizza boxes whether they are filled with pizza or a whole bunch of scrappin goodies! Thanks. Who doesn’t love a surprise box filled with mystery goodies. I know I do. I might even be nice enough to share them with my daughter who got me hooked on scrapbooking and card making. Thanks for the chance to win. Ooh yay! A surprise box giveaway_- always fun. Thanks for a chance to win. You do not know what a blessing it would be to win that box! I have not been able to get new supplies in over a year do to a drunk driver hitting me head on and making me disabled. I promise you You would hear me squeal louder than any other person !!!!! I would be the happiest person there ever was! Surprises, mysteries, and early spring cleaning. Put them together and what do you get? A FABULOUS give-away. Thanks a bunch. Another prize box! Oh my! I would love to give it a good home. LOVE the colors in that craft room – that’s what my craft room wants to be when it grows up 🙂 Thanks for sharing. Would love a reason to squeal! I’m ready to squeal! Bring in the surprise!! Thanks for a chance to win, I do love a surprise box. I love surprises!!! Would love to have one right by my birthday!!! Thank you for having these great posts & games!! CHA always seems like Oz to me–dazzling and exciting. Has to be good. Who wouldn’t love a surprise box like that? So many local scrapbook stores have closed and it’s really hard to get your hands on pretty supplies that put a smile in your day. I love surprises! What a fun box that would be to get in the mail! I love mystery boxes. It would be wonderful to get and share with friends. Hope to win the mystery box! I LOVE surprises. I’ll be working Saturday but I spent the blizzard making Valentines this past weekend. There isn’t anything better than a crafting surprise – would love to win! I guarantee I would squeal more than just a little if I won!! I guarantee I would squeal more than a little if I won! Congrats to the winners! Would love to win your prize pack! Thanks so much for a fantastic publication! Great Giveaway! I just signed up for the subscription last week after I couldn’t get a copy at the local scrapbook store…they go too quick! A mystery box of goodies would be a welcome surprize for these cold winter indoor days. I’d love to have a look inside the mystery box!!! I’d definitely be delighted!! Hohhot me! Pick me! Wow I love surprises even if it’s just a pen and a kind note. Oh a mystery box, take me back to my childhood and the mystery bags from the variety store. Someone is going to be very happy. Thamks or the opportunity to enter. I need a surprise box badly . . . work has been crazy this week. Oh, please! Love surprises and can’t wait for you to share what you saw at CHA! I believe that box of goodies has my name on it! Thanks for the chance to win!! Congrats to lucky winners! I love surprise giveaways! Glad you cleaned! Now how about coming to my house! Just joking, but I would love to see what’s in the surprise box. I promise I will squeal! Thanks so much! Would love the surprise gift, what fun!!!! Thank you for the chance to win this box of goodies! What a great way to start the year: clearing out unwanted crafty goodies and passing them on to other who may use them 🙂 I’m going to do that too. Thanks for the clean up and making a great give a way box.I am sure its a wonderful box filled with lots of goodies you always give the best gifts. I would be thrilled to win. You would hear me screaming from Oz if I was to win. Are Australians allowed to enter. Have been following your mag for a couple of months now. Fantastic!!!!! I was so busy hoping to win that I forgot to put the URL in the box. He’s hoping! I love surprises!! I´d like so much to get in my hands your mystery box!! I’d love to find a box of happiness in the mail! Thanks for the giveaway! You really do treat us wonderfully!! I would love to win a surprise box! So kind of you to share. Nothing can give my sleeping Mojo a kick in the pants like a bunch of new goodies!I don’t want it to hibernate all winter! How delightful it would be to open a box full of surprises….and best of all…SCRAPBOOKING surprises! So happy for the winners! I would love mystery box! Who wouldn’t love to win a box of goodies? I like to try new things! I would love to win the mystery box, I have a craftin Saturday coming up with the lovely ladies! I love Scrapbook and Cards…always thinking up ways to make us squeal!!! Crafty surprises, Yummy! Would love to stay in out of the cold and discover what I could do with what’s in the box! That is such a pretty colorful room! I don’t know if followers from Canada are eligible but I hope so. I love your magazine and find the ideas you share are inspiring. I would like to open a surprise box! This would be the best pizza delivery ever! Please add me to the list of others who would love to win this giveaway. Adding new stuff adds to the creativity and I need a bit of help now. I love a mystery – especially a crafting mystery. Thanks for the chance to win! Congrats to the winners of the previous giveaway! I’ve gotta get some inspiration to get me going this year! I would LOVE to win! 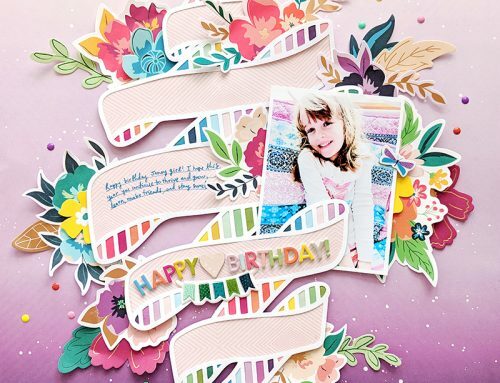 Who doesn’t love a big surprise…especially if it involves paper crafting! Thanks for a chance to win. How exciting – all the treasures you find when you clean! Would love to share in the treasures that you have found. Very happy and vibrant set up. Looks like a great place to hang out. A box of some new scrappy goodies would be an amazing way to start of the new year. Hmmmm … you’ve got me intrigued. Now, I have to win, so I can actually hold this box and squeal as I open it! Thx! I would love to squeal with delight upon opening this mystery box… 🙂 thanks so much for the opportunity and all of your wonderful inspiration! Would I like it???? No I would LOVE!!!!! Thanks for a fun opportunity to win! Mystery box! One of my favourite things! I always used to buy grab bags when I was a kid because I love the anticipation of not knowing what I could get! Thank you so much for the chance to win! Who doesn’t love a good mystery? Opening this box would have both my wife’s and my heart thumping. Would love to hold a box and soak in its’ goodness! I always love the idea of a surprise box of papercrafting goodies! Something new is always fun! Surprise Happy Mail is the best!!! Oh how fun that would be! I like surprises especially ones filed with crafting materials! Thank you for clearing out your office! Who wouldn’t love a pizza box of goodies from SCT? Oh, a pizza surprise box would be sooo exciting to open! I would squeal for sure!!! Saw this was the place to be to win a subscription for getting the great newsletter. Hope this is the correct place.